Through Loss Is My Beginning. Mom often told me the story of how she met Dad. “I met your father in the men’s washroom at Hillingdon,” Mom smiled and laughed as she relived the moment. In the summer of 1953, Mom was assisting a male patient to the washroom one afternoon. She met a handsome young man, Peter Spare, the Assistant Clinical Chemist. As a nurse she was one of the few women permitted into the men’s washroom. “He was surprised to see me,” Mom said. A few days later when they crossed paths they smiled as they talked about their bathroom encounter. That started a two year courtship. Once Mom and Dad got to know each other they found, despite their very different upbringings, they had many things in common. Both had grown up on a farm and hated the farming life. Each had chosen a profession in health care and had achieved their education through their own means, hard work and determination – and they both desired to leave the UK. When it came to getting an education and forging ahead in life Mom like Dad found her helping hand at the end of her own arm. Dad owned a three-wheeled, two-seater, Bond Minicar convertible powered by a motorcycle engine. It was constantly breaking down so he kept a tool box in the back to change a spark plug or whatever needed fixing. Often it needed a push to start it. But Mom didn’t know how to drive. Dad would have to steer while Mom pushed. When the car started Mom jumped in and off they went. They made a good team. “I swear I pushed that car everywhere we went,” Mom said. September 3, 1955, Mom and Dad were married at St. Patrick‘s church in Northampton, England, and they spent their honeymoon at Shakespeare’s birthplace in Stratford on Avon. When they returned from their honeymoon Mom and Dad made their final preparations to set sail for their new life together in a new land. In early October they sailed to Canada. They docked in Montreal and rode the train to Sudbury, Ontario, with just $18.00 cash between them. Soon after they arrived in Canada Mom and Dad tried to start a family. I was born four years later and they adopted Catharine three years after that. Mom and Dad were dedicated parents who raised Catharine and me in a loving and stable environment. They were always supportive to each other and were unwavering in their parental duties. All through my grade school years we had family, neighbours and friends in and out of our home and guests over for dinner. For every occasion throughout the year we had people and parties at our home. My illness changed all that. From my neurosurgery at Sick Kids in Toronto until my recovery the house parties stopped. During those two years only a few friends came by. An elephant lived in our house and many people didn’t know what to say or do. Adults with healthy children were silently thankful they weren’t in Mom and Dad’s shoes. The traumatic experience of my brain tumour had affected all of us. I was left with disabilities and the plight of adjusting to them. Mom and Dad had to recover from coping with the distress of watching me get sicker during 1973. They seriously wondered if I would live though it. Catharine quietly watched as the world focused on me. Being younger she weathered the storm better than any of us. When the two years of my recovery had passed, and I was getting out again, the house parties gradually started. Once more other people’s voices enriched our lives. Mom and Dad continuously applauded my efforts to overcome my disabilities. They did anything and everything to forge a successful path in life for me. Mom never accepted what had happened to me. She had a mother’s guilt of thinking she could have done more for me. She saw the perfect little healthy boy that she had prayed so hard for become sick. Mom was thankful for me but felt cheated that she couldn’t bear more children. Also Mom didn’t become the woman of wealth and prominence she had dreamt about. Mom lived her days looking back to her troubled childhood and it influenced every decision she made. She worked hard to get out of her impoverished life and she sensed she was succeeding in her aims only to be thwarted by circumstances. She wondered when the cruelties of this world would let up on her. Mom felt as if life had been very unfair to her. The culmination of all her worries sowed the seed of her depression that didn’t surface until the 1980s. The love that brought Mom and Dad together and bonded them through their life’s journey was always there. As Mom’s depression took root a wedge was driven between them. Part of Mom’s depression stemmed from the fact that she had no siblings in Canada to support her. “If only Rita had lived she would have come with me,” Mom said to me with a mournful sigh. I recall how her spirits were lifted when she received a letter from one of her sisters. Mom yearned to return to Ireland but Dad had no desire to do so. Although she dearly loved her husband Mom very much resented his choice to stay in Canada. Mom and Dad remained together out of their commitment to each other and to Catharine and me. Even after Mom’s depression started to take hold of her the get-togethers with friends continued. Not until 1985 did the house parities start to taper off. During the three years I was in London, Ontario, things really diminished. When I came back to Thunder Bay the house was much quieter and even general house maintenance had been left. It demonstrated to me how central I was to Mom and Dad’s lives. Without my presence they lost the focus of what had driven them forward together for many years. Mom and Dad lost each other in their efforts to build a life for me. When we started Tara Scientific Laboratories my parents found a renewed energy in helping me build a future. Running Tara demanded a lot of our time and by and large took the place of our social lives. Not until the final three months when Mom and I were shutting Tara down did I truly notice just how quiet the house had become. Many of the family friends who were in and out of the house over the years had moved out of town, passed away, or just stopped coming – friends who were never replaced. Our home had become a lonely place. Once Tara was finished and Dad’s affairs had been put in order, Mom began to lose her positive outlook. She sensed the emptiness of our house too and didn’t see how or have the energy to liven it up once again. Mom lost her focus of helping me build a life now that Tara was gone. She had seen me to my 40th year but she could find no more of herself to give. Mom died of a heart attack in her sleep June 10, 1999. I think her spirit drained away over the last three months of her life. I laid Dad to rest and then Mom. On June 15, 1999, the day after I buried Mom, I filed Tara’s final taxes. Maybe it was meant to be that way. Mom and Dad steered the course of my life for its first 40 years. Tara Scientific Laboratories was the last part of it on which my parents had influence. When I laid Tara to rest I put aside my parents’ capacity to shape my life. Now navigating my way was solely up to me. 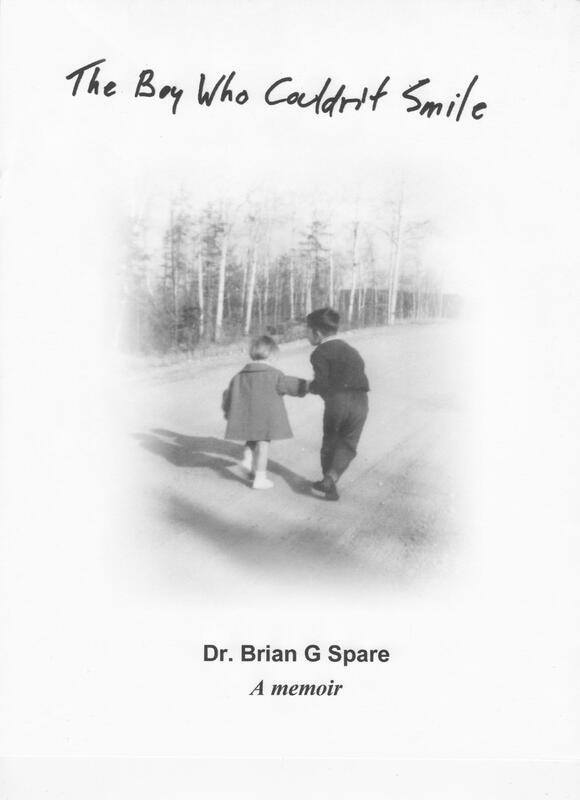 This entry was posted in Memoir and tagged 1953, 1955, 40 years, Bond Minicar, capacity, Catharine, circumstance, Dad, depression, disabilities, elephant, enrich, laboratories, life, lives, memoir, Mom, navigatint, overcome, parent, Rita, scientific, sibling, Sick Kids, Tara, three-wheeled, Thunder Bay, Toronto.